A new long-term study of omega-3 polyunsaturated fatty acids for psychosis prevention shows that almost seven years after a 3-month stint of receiving these dietary supplements daily, adolescents and young adults at high risk for psychosis showed fewer symptoms of conversion to full-blown psychosis than those who received placebo during the same period. The research team, led by Paul Amminger, originally found that among 81 youth (mean age 16.5) at high risk of developing psychosis due to their family histories, the 41 who received 12 weeks of daily supplementation with 700mg of eicosapentaenoic acid (EPA) omega-3s and 480 mg of docosahexaenoic acid (DHA) omega-3s showed reduced likelihood of conversion to psychosis one year later than the 40 who received placebo. The team followed up an average of 6.7 years later with 71 of the original 81 participants. 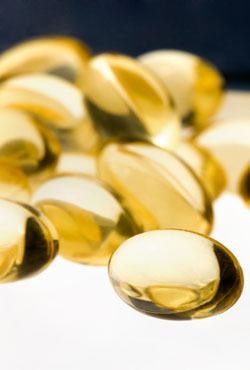 Among those who had received the omega-3 intervention, 9.8% had developed psychosis. Among the placebo group, 40% had developed psychosis, and they had done so earlier. In addition, the omega-3 participants were better functioning, they had required less antipsychotic medication, and they had lower rates of any psychiatric disorder than the placebo group. Editor’s Note: Because of their lack of side effects, a good case can be made for omega-3 fatty acids for patients at high risk for psychosis. The novel thing about this study is that short-term treatment with omega-3 fatty acids had preventive effects almost 7 years later.